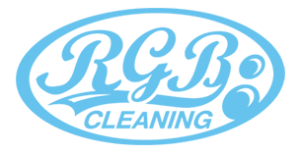 At RGB, we offer a range of commercial cleaning services, and we understand that every client has different needs. RGB works for shops, schools, offices, hotels and a range of businesses across Bedfordshire, adapting our services to suit the needs of your business. RGB Cleaning is proud to be a commercial cleaning services provider, offering a extremely high professional level of service, we are proud members of Trust a Trader, and the NCCA (National Carpet Cleaning Association) which monitors and unofficially governs our business. Here at RGB, we are constantly building a strong reputation for quality, service and value. With our personal touch whatever your requirements we can help, taking pride in the fact that we are flexible, personal and always put the needs of our customer first. We want you to feel as secure as possible, which is why Method Statements, COSHH and SDS (Safety Data Sheets) insurance details and public liability are all available on request. RGB pride themselves on their communication, putting in place a range of tailor made services to keep you happy. After initial consultation we would work closely with you to meet your specific business requirements. We also offer ongoing maintenance programmes or contract for commercial carpet/window cleaning packages. Our flexible approach means that we accommodate out of hours working to avoid any unnecessary disruption to your business and the fast drying time (within 2 hours) means you will be back in business in no time at all. We would be more than happy to provide a FREE written quote or FREE carpet/window cleaning demonstration.